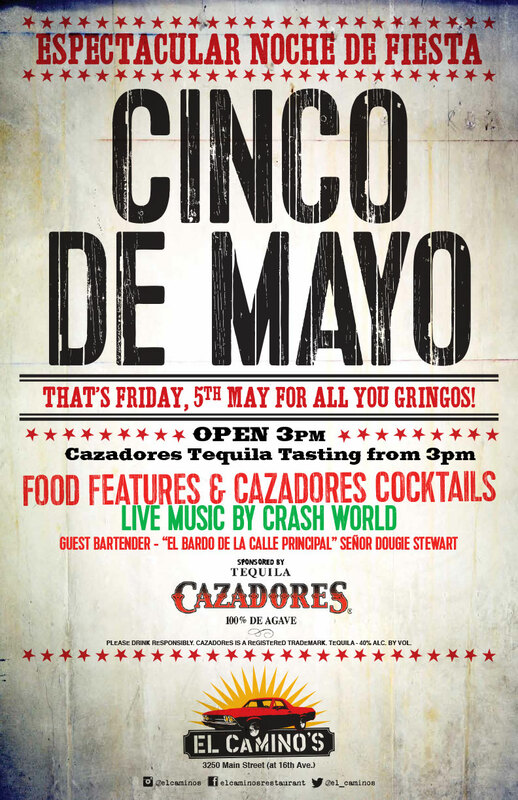 THAT’S FRIDAY, 5TH MAY FOR ALL YOU GRINGOS! CAZADORES IS A REGISTERED TRADEMARK. TEQUILA – 40% ALC. BY VOL.